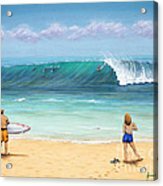 Surfing Hawaii galaxy s8 case by Jerome Stumphauzer. Protect your Galaxy S8 with an impact-resistant, slim-profile, hard-shell case. The image is printed directly onto the case and wrapped around the edges for a beautiful presentation. Simply snap the case onto your Galaxy S8 for instant protection and direct access to all of the phone's features! I just saw this in a contest. Very nice work! Skip, thanks, this was a special experience to compose and paint. 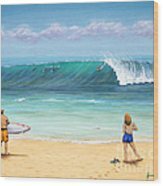 One of my best Hawaii paintings. Sheryl, yes I agree, the light worked well in this painting. Great colors!Congrats on your sale!!! Kim, many thanks. This is one of my paintings that came together the way I visioned it. Simple, fun and vibrant. Congrats on your sale! Angelique, thank you for the comments! 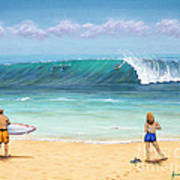 This is my original oil painting of the perfect day surfing the fabled North Shore of Oahu, Hawaii. 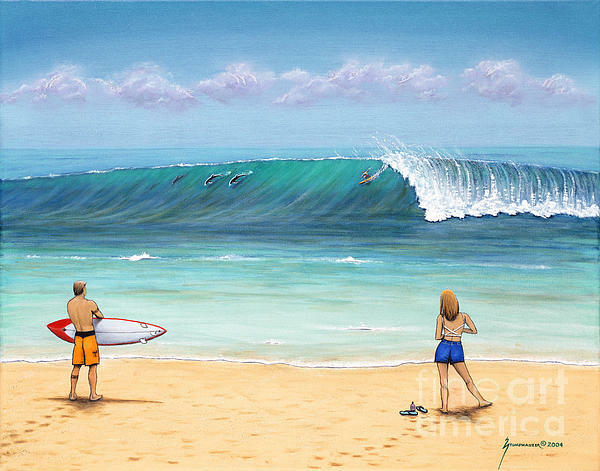 This is Sunset Beach and there is a surfer catching the perfect monster wave with dolphins joining in! A young woman and man watch it all from the beach. Will their paths lead together? In addition I have painted surfing and dolphins hidden in the clouds! 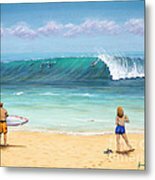 The original oil painting is SOLD.This is one of the paintings and prints of my Hawaii series available here at Fine Art America. This art would fit many home and workplace decors and would make a great gift!